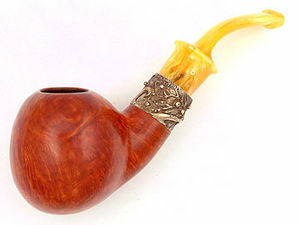 Born and raised in Hungary, Julius Vesz was first exposed to pipe making through his grandfather. Although his grandfather died when Julius was only 9 years old, he can still picture his grandfather making pipes. It made a lasting impression that matured years later. After immigrating to Canada at age 23, Vesz worked as a mechanical draftsman, but ever since a child had wanted to do something on his own. 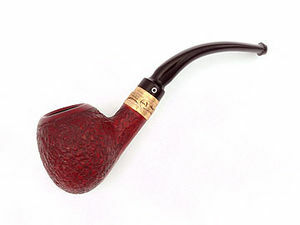 Remembering his grandfather's pipe making and repairing, he thought perhaps he should try his hand at that also. He sought out Charlie Dollack, who had a repair shop in downtown Toronto, but while Charlie encouraged the young Vesz, he did not offer any help or instruction. 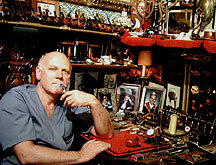 Julius continued on his own, setting up a modest shop in his own home, and was soon fixing and making pipes for several department stores, as well as United Cigar, which later turned into his main source of work. He discovered he had a unique skill, which he practiced and nurtured on his own. Like his grandfather, Vesz is motivated by a desire to create pipes that approach perfection. He maintains a supply of centuries-old briar that has been accumulated since the 1960s. Julius is renowned for using "dead root" briar. This briar root is said to have died and remained untouched for hundreds of years before it was dug out of the ground, enabling it to dry and age naturally. 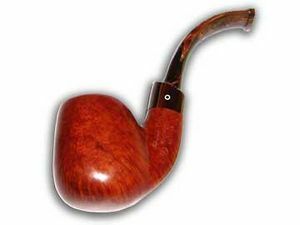 The alleged benefit of pipes created from this material is a cooler, smoother smoking experience. This page was last edited on 2 January 2011, at 19:39.